no matter what the case may be. Originally from Peru, South America, Catherine Casto grew up in Athens, Georgia. Catherine graduated with a Bachelor's Degree in Political Science from the University of Georgia. 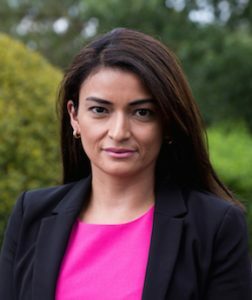 She earned her law degree from John Marshall Law School and studied International Family Law and Environmental Law as part of a summer abroad program at the University of Florence, Italy. 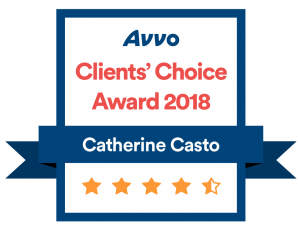 During law school, Catherine worked for the District Attorney's Office for the Western Judicial Circuit and clerked for the DUI Atlanta law firm Head, Thomas, Webb & Willis. She also worked as an Enforcement Attorney for Ralph Hudgens at the Office of Insurance and Safety Fire Commissioner. 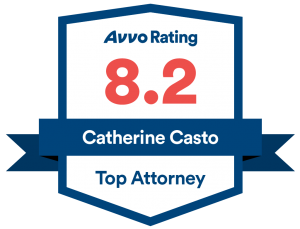 In June of 2015, Catherine joined the law firm of Wiggins Norris Coffey, PA, which is now known as Wiggins Casto Barrow, PA. Catherine concentrates her practice in the area of family law, including divorce, child custody, child support, legitimation, modification, contempt, restraining orders, juvenile matters and all other areas of domestic relations. 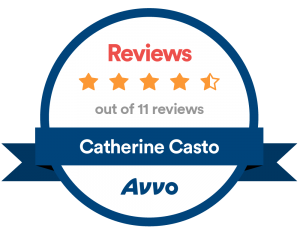 Catherine also serves as Guardian ad Litem appointed by Superior and Juvenile courts in Athens and in the surrounding areas. Catherine is a member of the Georgia Bar Family Law Section as well as the Western Circuit Bar Association Family Law Section. She is also a member of the Western Circuit Bar Association and former president of the Northern Circuit Bar Association. Catherine is admitted to practice before all state trial and appellate courts in Georgia. She is married to Tom Casto and they have one child.